What’s in a name? For Jenna and Stuart Walker, a lifetime of music and harmonies. And when you flip that name over, it spells “reklaw”. The Reklaws are the amazing brother/sister duo Jenna and Stuart Walker, and they’ve been entertaining audiences since they were 11 and 9 on their family farm in Ontario. 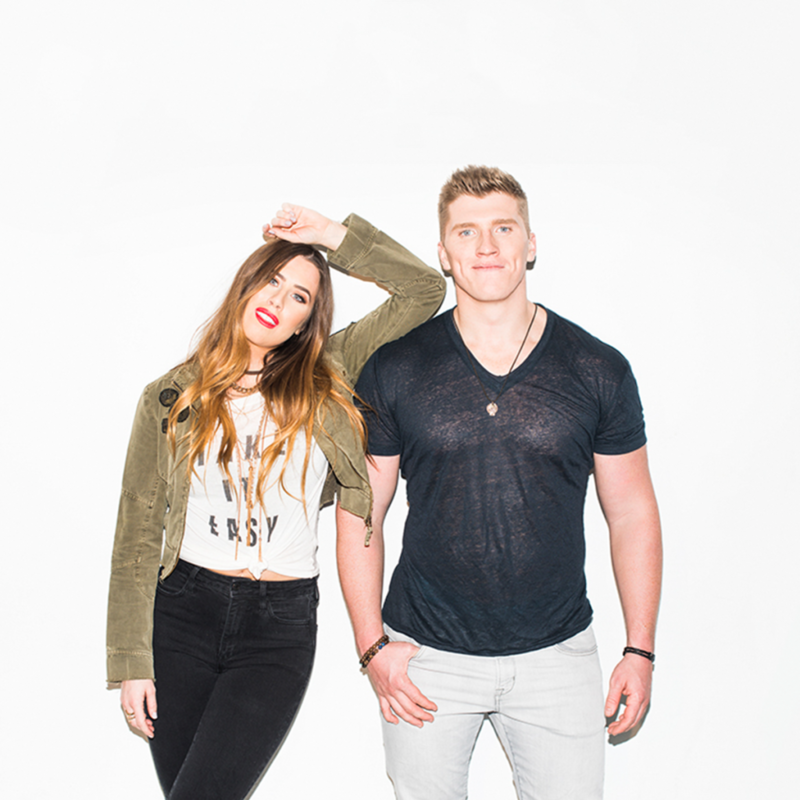 But you might have heard them when they were selected as CCMA Discovery Artists in 2012. Or you might know all the words to their Top 40 hit “Kiss Kiss”. Perhaps you were there when they were voted the winners of the Boots and Hearts Emerging Artist Showcase in 2013. Or you heard the hit single and video that followed, “Seeing Stars”. Maybe you were one of the 35,000 people who fell in love with them at 2014’s Boots and Hearts Festival. And if you missed it, don’t worry, they’ll be back for the 2015 Festival along with Brad Paisley, Eric Church, Florida Georgia Line and more! Working with hit producer/writer Robert Ellis Orrall (Taylor Swift, Love and Theft), the best is yet to come. And just in time for summer, here comes the perfect crank-it-up-on-the-beach single, “Sun Drunk”. Kick back, turn up the volume, and drink it all in. It’s gonna be a Reklaws summer!